The very first reading library is an amazing buy when it comes to teaching your little one to read. This set is a steal at 79.99- for 50 books! This has all of the books from our starting to read pack (39.99) and very first reading set (69.99)and MORE . 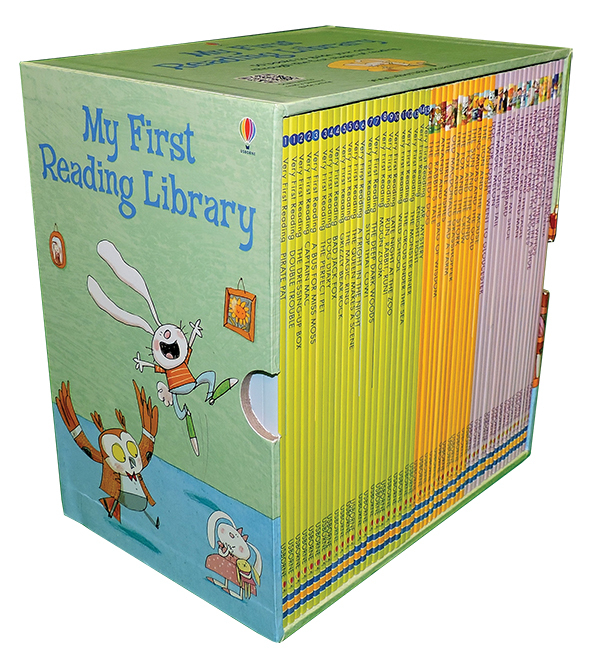 This comprehensive first reading library includes 50 books to guide your child through the first stages of reading and includes access to online resources. The first 22 books are taken from Usborne Very First Reading series. With these, your child takes the first steps in reading with your help, following the phonics methods used in schools. The next 12 books are taken from Usborne First Reading Level One. These delightful and very short stories are for children to try reading themselves. 16 further books are taken from Usborne First Reading Level Two. These slightly longer stories will build stamina and reading confidence. Includes QR Codes.